We now know that phthalates are linked to hormone disruption causing fertility issues, PMS, breast (and other cancers) as well as behavioral issues in children, allergies, metabolic syndrome and more. We know phthalates are found in food, water, shower curtains, toys, personal care products, and makeup. Learning how to avoid phthalates may seem overwhelming, but I am going to break it down for you so you can start taking manageable steps to improve your health and avoid these nasty toxic chemicals. Avoid plastic water and baby bottles, as well as sippy cups (we use these). Opt for glass, stainless steel, and food grade silicone bags. Avoid cans, even BPA-free, as they’re typically lined with on the inside with a phthalate-containing coating. Never heat your food in plastic. Instead, use glass or stainless steel containers (like these). Opt for glass or stainless steel straws since they’re going into you (or your baby’s) mouth! Opt for bees wax wrap versus conventional plastic cling wrap. Swap plastic baby plates to bamboo plates, cups, and utensils. Shop and store produce in safe, reusable bags (like these). Take advantage of mason jars for drinking, storing broths, sauces, etc. Use large glass containers (like this) for your raw milk, juice, and tea! Invest in a high-quality water filter for cooking and drinking (like this). Install shower filters to avoid absorption via contaminated water through the skin (source). Again, avoid drinking out of plastic water bottles, even BPA-free bottles. A fluorene-9-bisphenol, or BHPF, another harmful agent, which affects fertility, is substituted where the BPA was used. Ditch plastic toys made before 2009, as that’s when new laws which brought U.S. phthalate toy regulation started. Swap out vinyl/plastic shower curtains for nylon, hemp or organic cotton. Check the code on your plastic bottles—3 and 7 may have phthalates. In general, look for plastic with recycling codes 1, 2, or 5 as it’s safer. Make your own air fresheners and don’t use plug-ins. I use high-quality essential oils and a diffuser or reeds. Avoid fast food as people who often eat fast food have higher levels of phthalate metabolites than infrequent eaters (source). Eat organic and grass-fed produce, meat, and dairy. I get all my meat delivered from this company. Incorporate more plants into your diet. People who eat diets rich in plant foods—fruits, vegetables, beans, grains, nuts, and seeds—have lower levels of phthalates in their blood. Avoid processed foods. The production process allows greater opportunity for foods to come into contact with plastic, and a greater chance that it will be tainted with phthalates. Avoid fragrances and perfumes. Remember, these terms are synonymous with phthalates and should trigger a red flag. Become a label junkie. Start checking your ingredients labels and/or scanning them using the Healthy Living App. Look for green light items with a 1 or 2 rating. Make your own products. Check ingredients on the app above and use only therapeutic grade essential oils. If you are putting them on your skin, you will want to make sure that they are pure and will have the therapeutic benefits that you would expect! HERE is the only brand of oils that I use. What is the best phthalate-free makeup? Because DEP (phthalates) are still commonly used in color cosmetics, it’s important that you are buying from a transparent company which discloses all the ingredients. I only use and recommend Beautycounter makeup because all the ingredients are listed on the Healthy Living App I mentioned above, and they are a certified B corporation and go one step further with transparency and testing. They third-party test each batch of makeup for heavy metals and other contaminants, like phthalates, for human safety before it goes to market. I do not know any other makeup company that is going to those lengths to ensure safety. Check out this post for more information and my product recommendations. 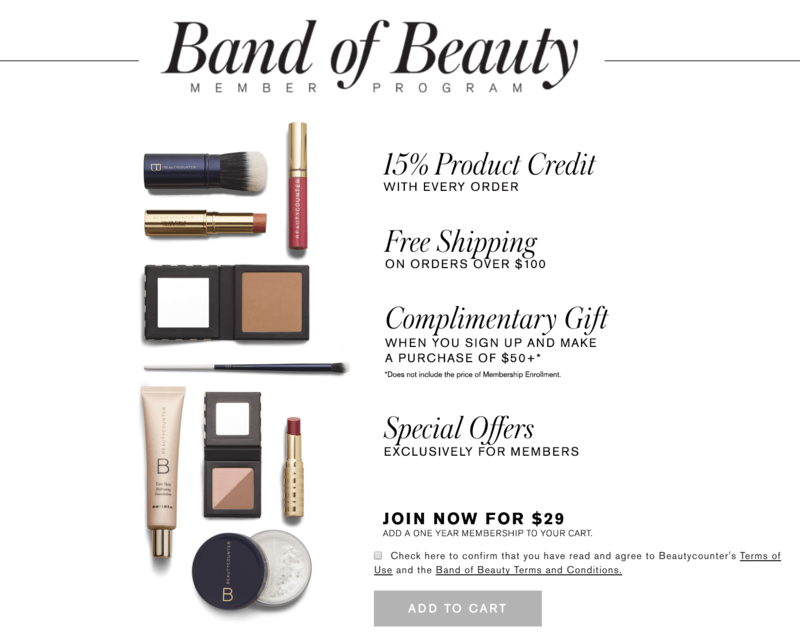 I recommend swapping your products as you run out and get in on their rewards program called the Band of Beauty Membership (see below.) 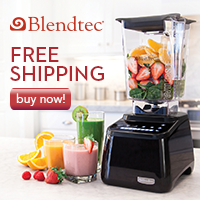 This will get you free shipping, free products, and money back on every purchase while you make the switch to safe and as you need product refills. I hope these suggestions on how to avoid phthalates helped you feel more empowered to make safer choices for your family. Which swap will you be making first? Please tell me in the comments below! 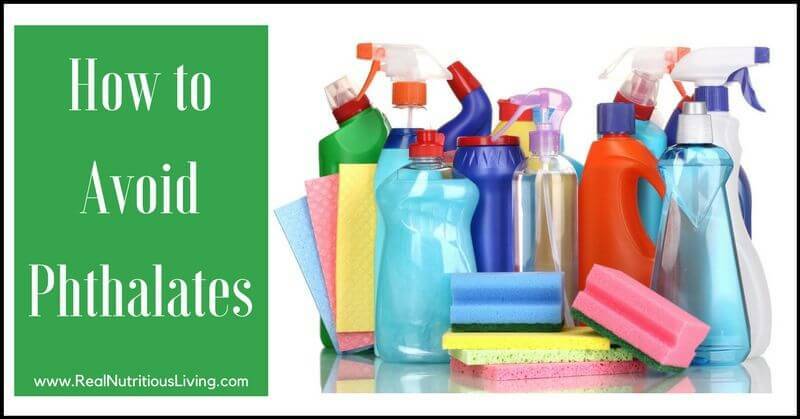 Some practical ways to keep this nasty stuff away from our bodies as much as possible!! Thank you! Such great tips! I’ve done most of these but I need a better filtration system for our water. That’s the first thing we are thinking of doing when we move in a few months! We’ve just finished a big overhaul of our home and switched out the plastic containers for glass. Once you think about it, it’s amazing how much plastic we have in our homes. Some great tips here, thank you. I love posts like this that bring in so much info with so many resources the reader can use from apps to homemade recipes to brands of makeup. I picked up a few great tips here I’m sure I’ll revisit over and over throughout the years as I do my best to avoid phthalates. Thanks for spreading the word!! That’s so kind Irena! Thank you! Such a great post with so much useful information! I’ve been trying to do most everything here, but I do still struggle with plastic water bottles when we’re traveling. It is hard. Luckily, we can sweat it out in an infrared sauna! This is great info. We are actively reducing all plastics in our home. Thanks for spreading the word. Thank you! Yes, it takes time but is so worth it! What awesome advice! Also – I love beauty counter too! It’s all I use anymore! It’s the perfect blend of science and safe, plus the mission is great! This is amazing ! Thank you for the comprehensive list ! Thank you so much! I appreciate the kind feedback. Such good info here! Thank you! I’ve shared it on my FB too! Previous Previous post: Why Are Phthalates SO Dangerous?